An article by Steve Arterburn, edited for use in a 12-Step meeting. Many men seem to go about life with a kind of bravado…bold confidence and self-assurance. The truth, however, is that most of us wish we were different somehow. We may think to our self, “If only I were as outgoing as Jack or as physically fit as Larry. I wish I had the financial sense of Tom …a full head of hair like John …or Lonnie’s quick wit." While it’s okay to admire good traits in others, often this desire to be like someone else is actually a form of covetousness*, or envy. 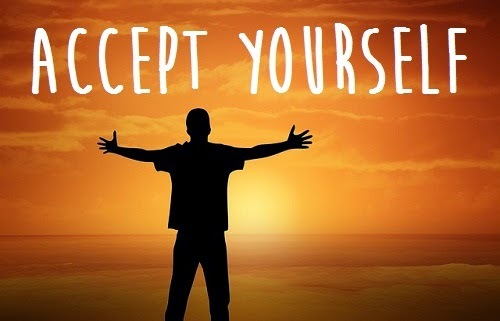 Instead, we must learn to accept ourselves as God has made us. Before I can truly accept myself, I must first see the truth about myself, recognizing both the gifts and the limitations that God has given me. If I don’t, then I will never truly know who I am, because I will be forever caught up trying to be someone I’m not. One way to appreciate how God has made us is to read Psalm 139. The psalmist rejoices, “Thank you for making me so wonderfully complex! Your workmanship is marvelous—and how well I know it”. 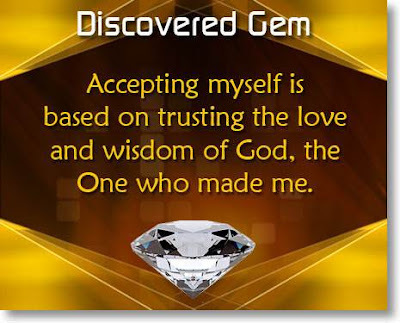 Each of us is unique and special—embraced and accepted by God himself—even though none of us are perfect. Spiritual renewal cannot begin until we are willing to accept our self as God has made us. Once we accept the truth about our self, our focus can and will change…and we can bring great glory to God himself; He, after all, is the one who made us, and He is the reason we live. * Covetousness - a strong desire after the possession of worldly things (Col. 3:5; Eph. 5:5; Heb. 13:5; 1 Tim. 6:9, 10; Matt. 6:20). It assumes sometimes the more aggravated form of avarice, which is the mark of cold-hearted worldliness.